Everyone knows "leadership is key", but developing it is difficult. 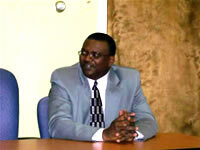 Joseph Robinson, Jr. is a former career government manager having served 26 years with the Pennsylvania Department of Transportation. 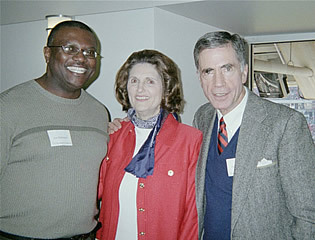 His last position was Chief of the Performance Improvement and Metrics Division of the Center for Performance Excellence. In this capacity he provided measurement, customer satisfaction, developmental, strategic and organizational performance training to workforce of 12,000. He has given hundreds of presentations and facilitated sessions at all levels of the Department and at national meetings. He has held memberships in The American Society for Quality, Association for Quality and Participation, Institute of Industrial Engineers and the American Society for Training and Development. He is an ASQ-Certified Quality Manager. Borrowing from the principles contained in his book Seven Leadership Imperatives from a Wild Man, Joe inspires audiences with anecdotes and stories that illustrate effective leadership. Audiences love Joe’s delivery which is humorous, poignant and thought provoking. Audiences leave with a renewed commitment to daringly lead to bring about intended bottom line results. "Joe Robinson delivers a powerful heartfelt message on the virtues of good leadership principles and Christian values that in today's fast paced and ever changing world can be quickly overlooked or misunderstood." Joe listens to the client and keeps it light.